The Bubble Oxygen tube is a specially designed tapered tube with a bubble every 90 cm. There are several advantages of this bubble oxygen tube. 2. Whether Central oxygen supply or Oxygen cylinder, this Bubble oxygen tube will fit well without need of any additional connector. 3. 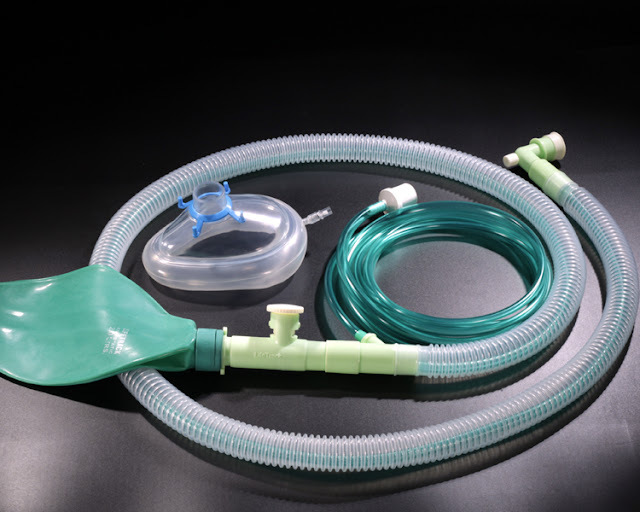 The 22mm Plugin mount can be removed and the Bubble oxygen tube may be connected directly to Oxygen cylinder and the same Bain Circuit can be used as Transport Resuscitator. 4. 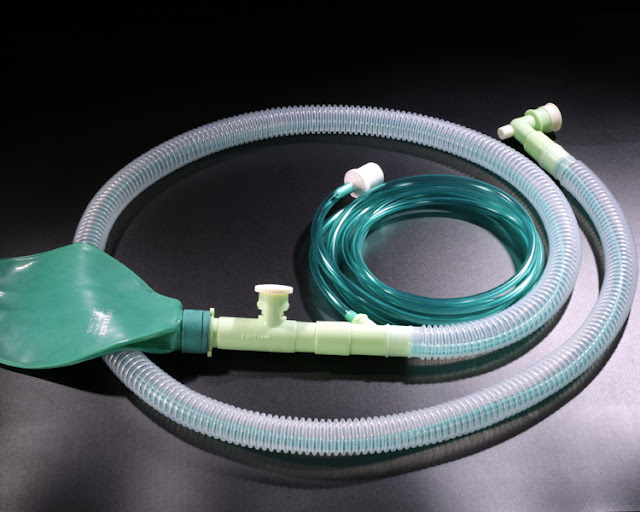 During transport, patients can be ventilated in spontaneous/assisted/controlled mode by adjusting the Heidbrink Valve of bain circuit and pressing the bag of bain circuit just like manual resuscitator. Ambu bag still must be available if by chance oxygen cylinder got emptied. As this system could provide nearly 100% oxygen during transport of these patients, it may decrease the complications of transport arising due to hypoxemia in these patients. 5. Further all parts are MRI compatible by replacing metal parts with that of plastic alternative as the metals may interfere with magnetic field. 6. As the cost of this product is lot cheaper compared to regular Ambu Bags, this product has been adopted as a truly DISPOSABLE MANUAL RESUSCITATOR by many hospitals.